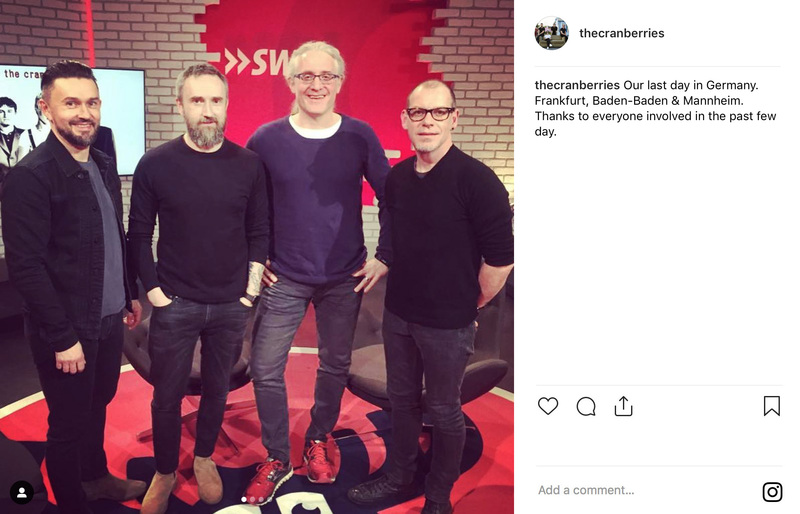 The Cranberries are back on their promo tour. 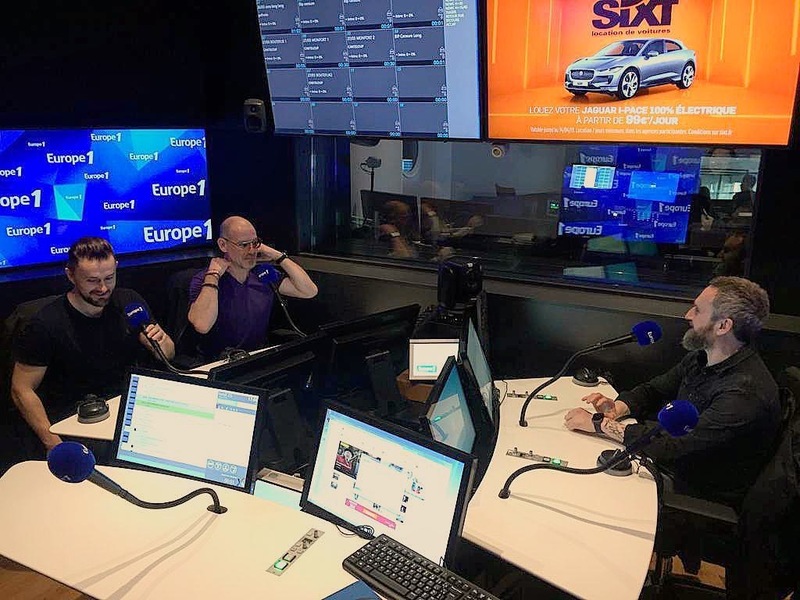 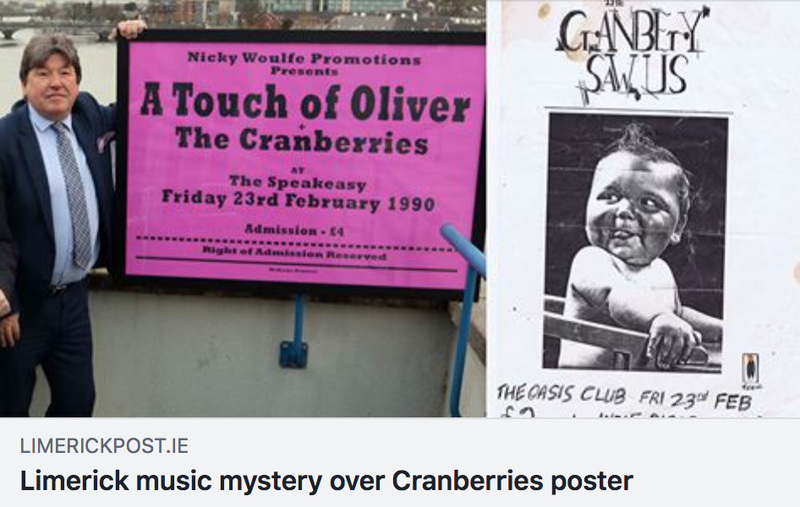 It started on Monday 25 in Dublin, on RTÉ Radio 1. 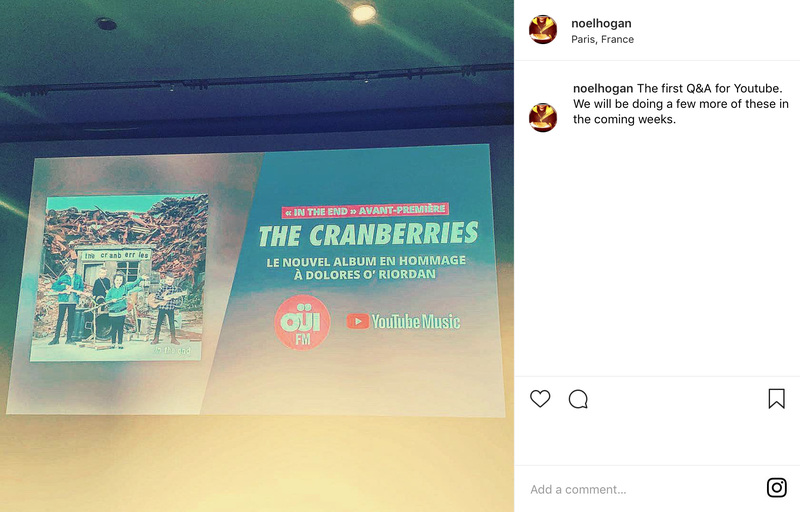 No more information has leaked yet. 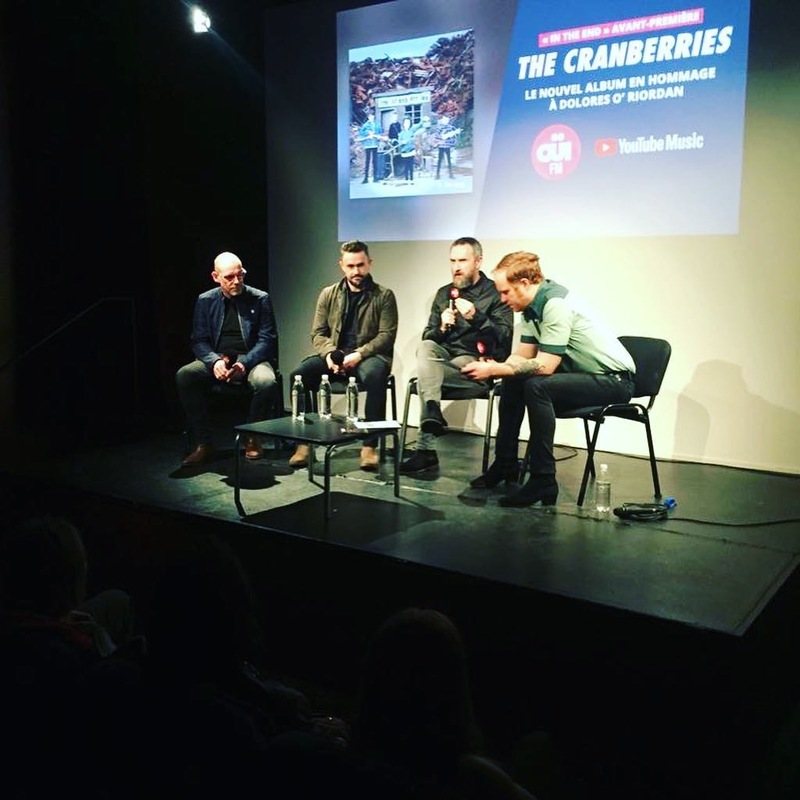 On the evening, they attended a Q&A with lucky winners for YouTubeMusic and Oui FM. 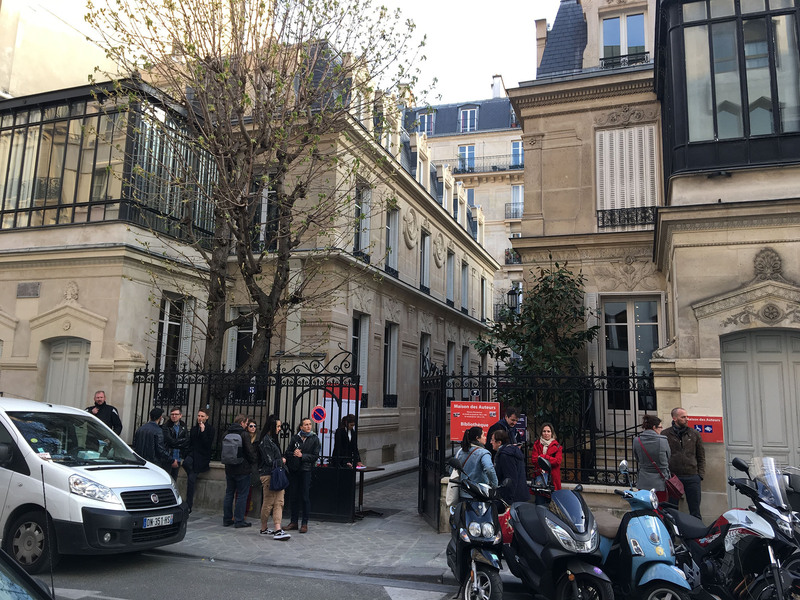 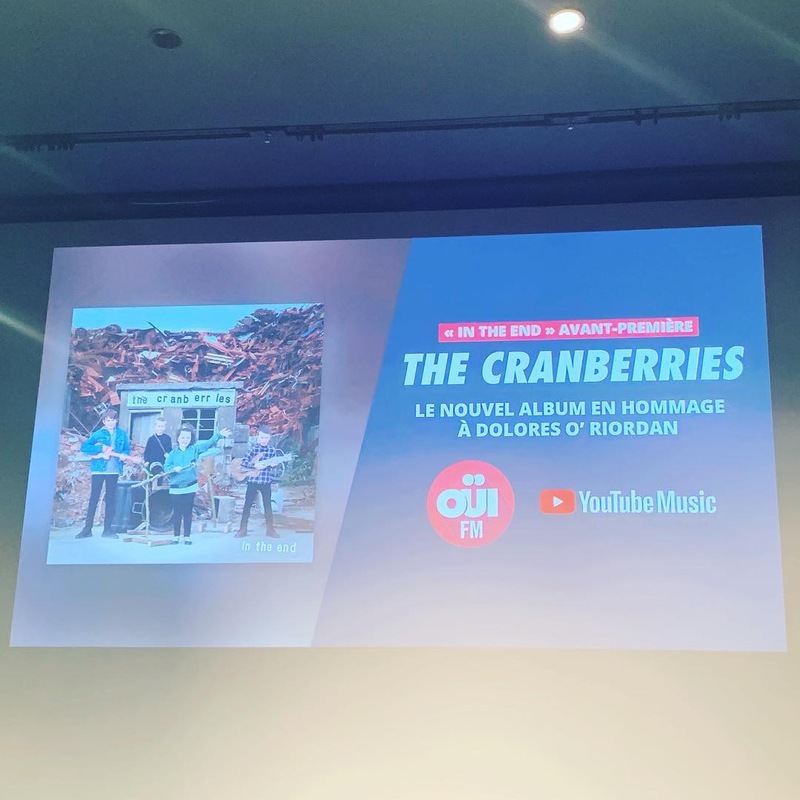 60 or so privileged fans got to listen to 3 new songs (Lost, Illusion, Crazy Heart) in an auditorium located 7 Rue Ballu in Paris. 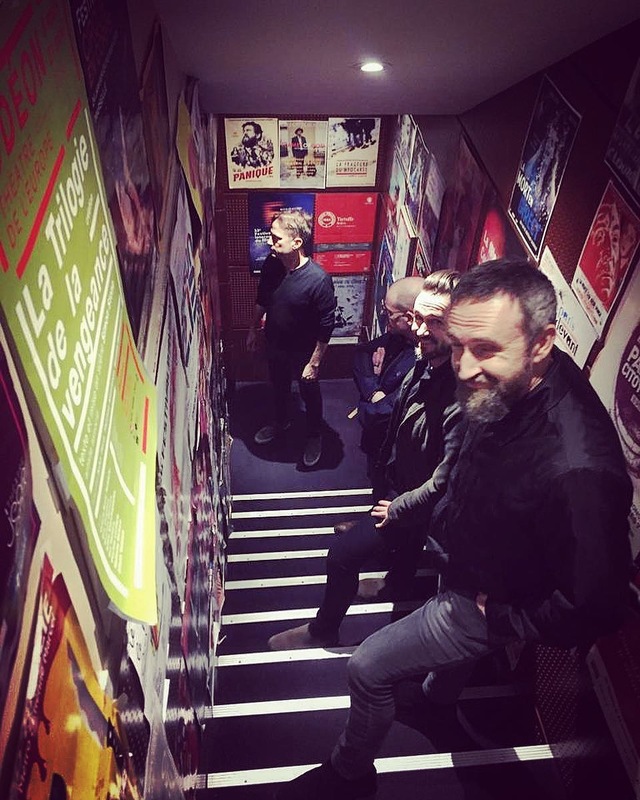 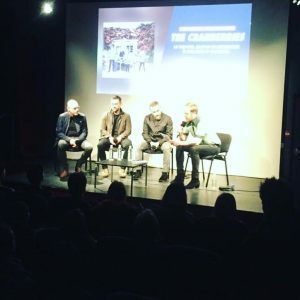 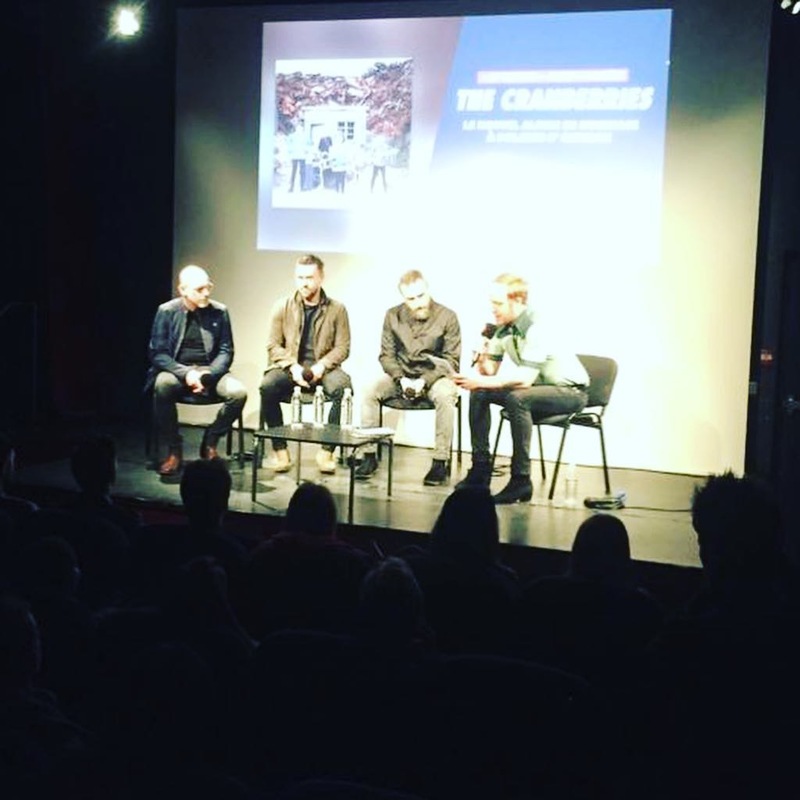 For obvious reasons, mobile phones, cameras and any other kind of recorders were not allowed, and for now the only images of the event that surfaced were posted on the band’s Facebook as well as Noel and Mike’s Instagram accounts. 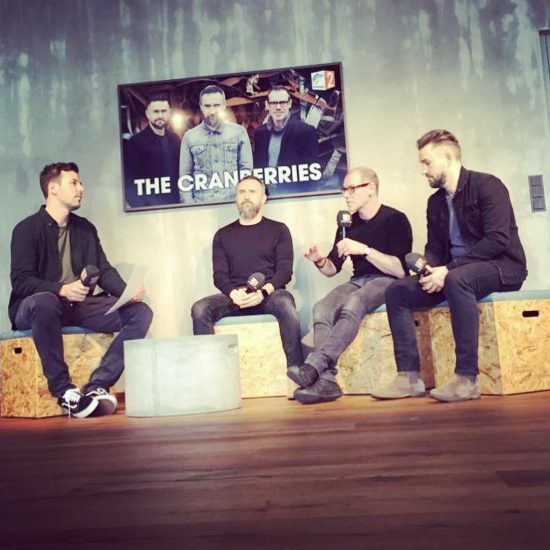 Let’s note the band was not in the room while the audience was listening to the new songs, they only joined the crowd for the Q&A and answered questions for approximately 30 minutes. 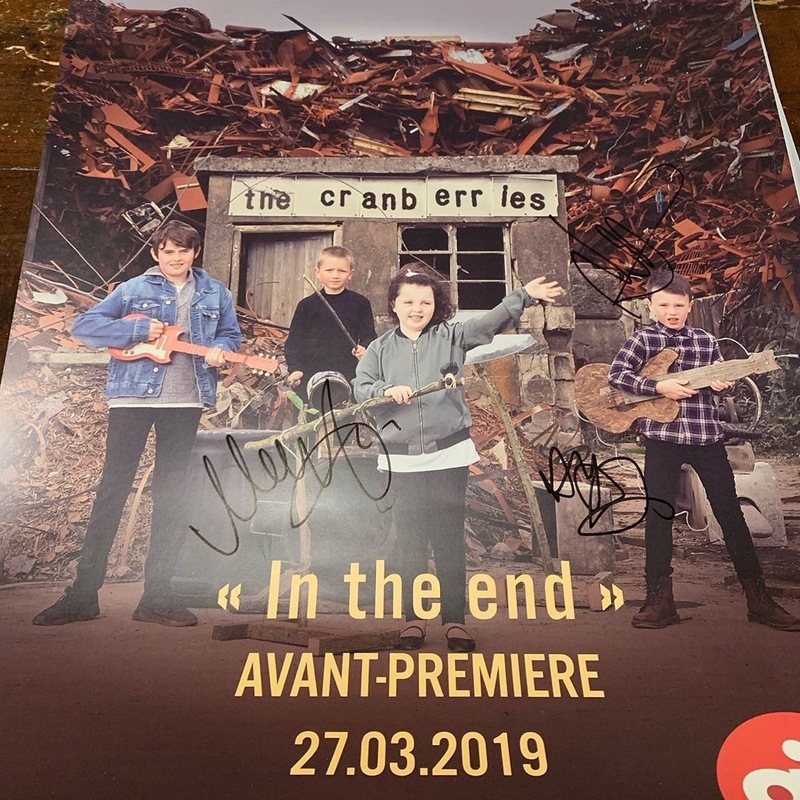 Afterwards, fans were invited to a cold buffet and also had the opportunity to take a picture with the boys in front of a huge “In The End” artwork background. 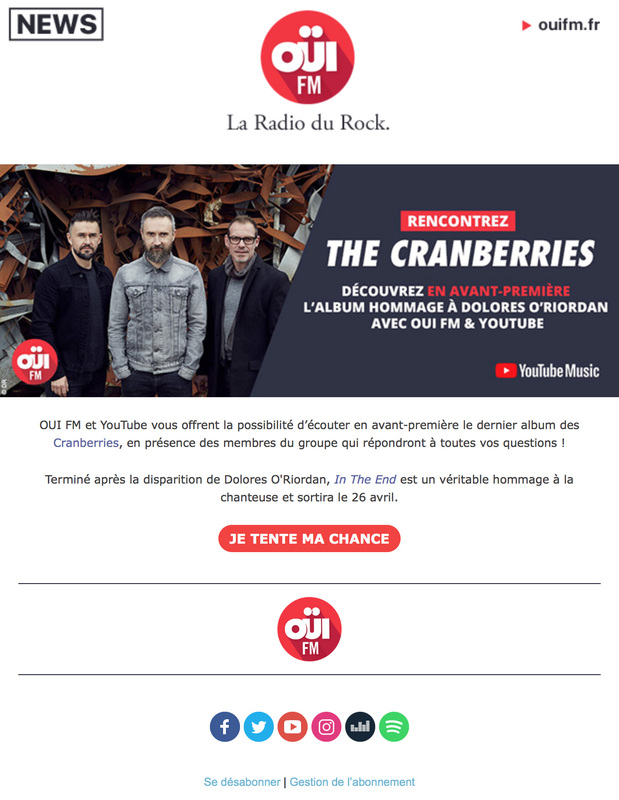 A very nice surprise for sure! 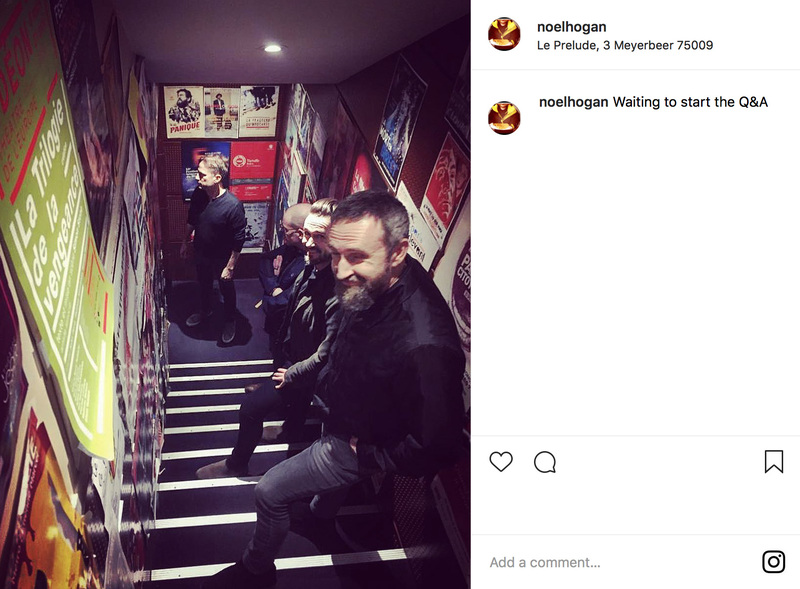 Noel wrote on Instagram, “we will be doing a few more of these in the coming weeks”. 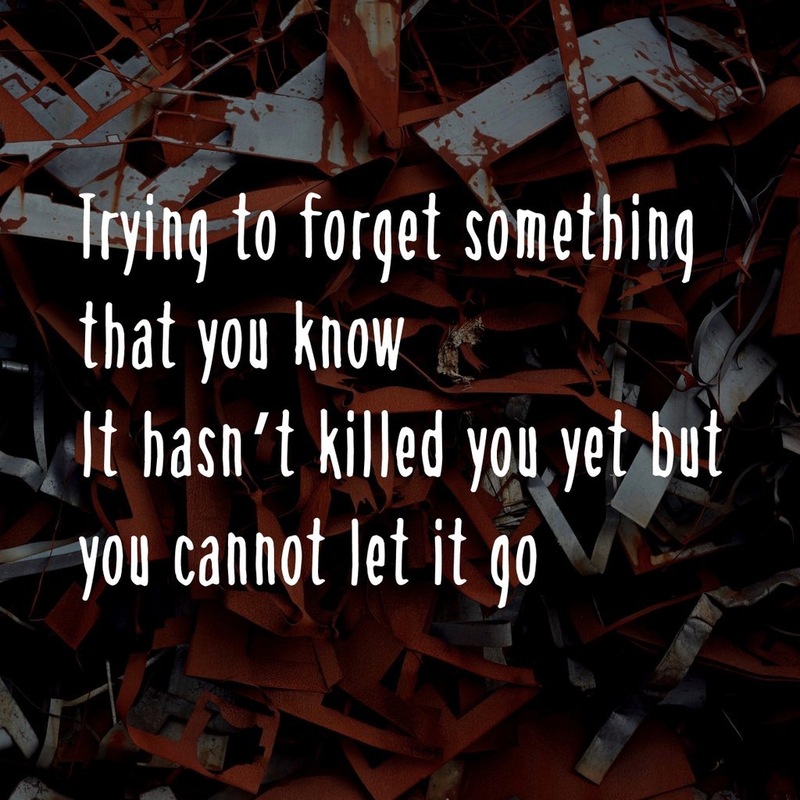 From what we know, London and New York City are on the list. The event was videotaped and should be broadcast in April on YouTube. 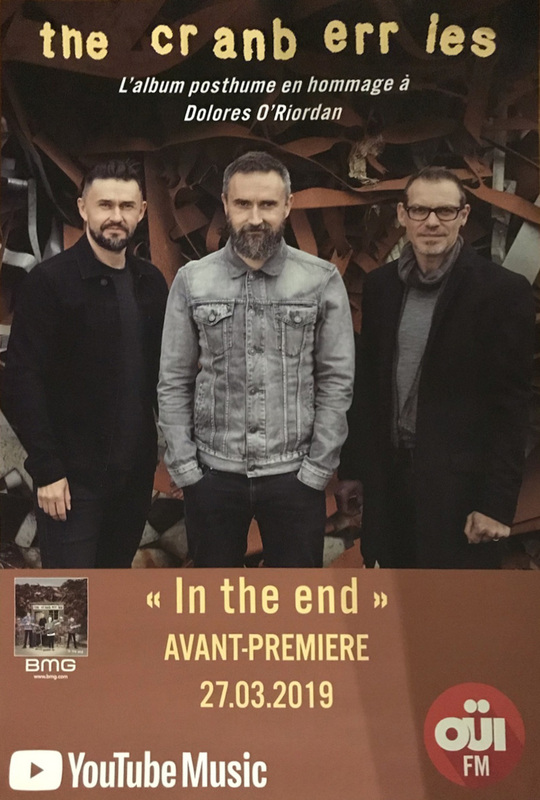 Special thanks to Laurent at BMG France. 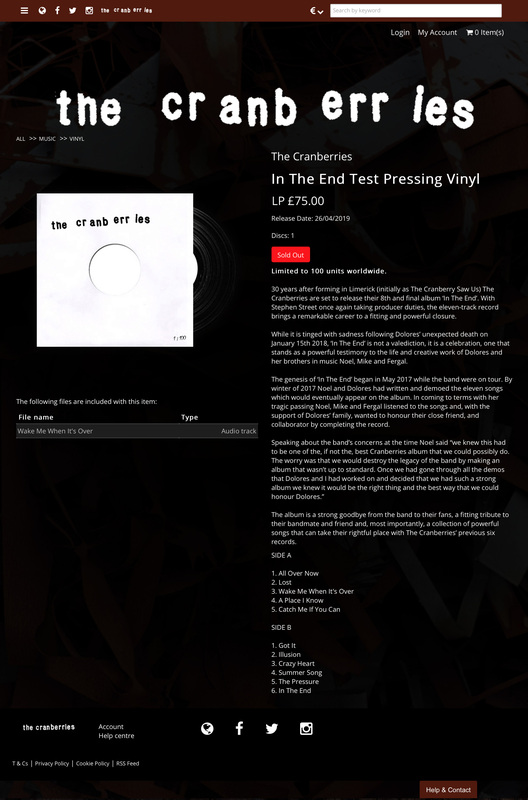 SOLD OUT IN JUST A COUPLE OF HOURS!! 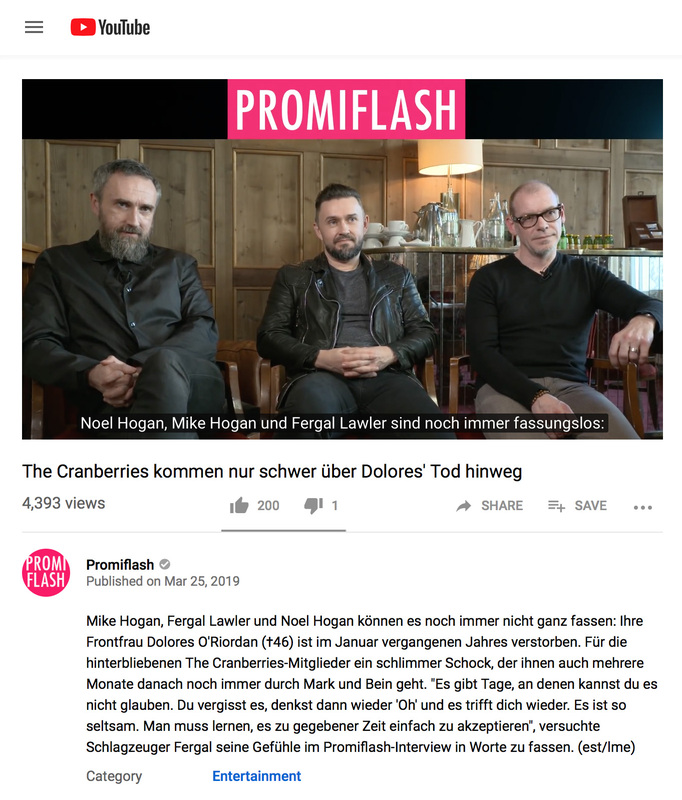 A short (77 seconds) video interview of The Cranberries was published on YouTube today by Promiflash. 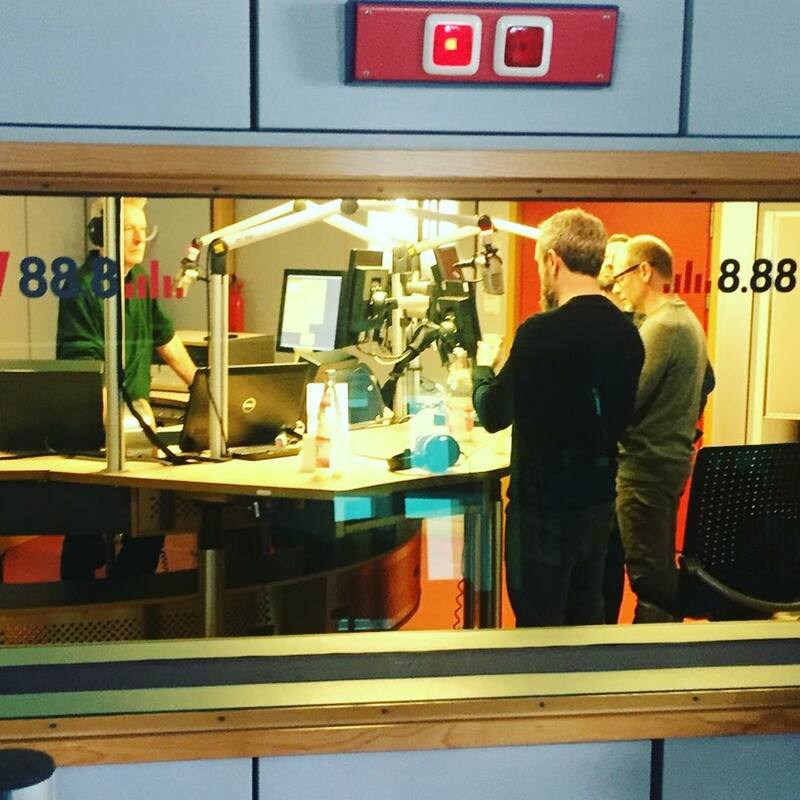 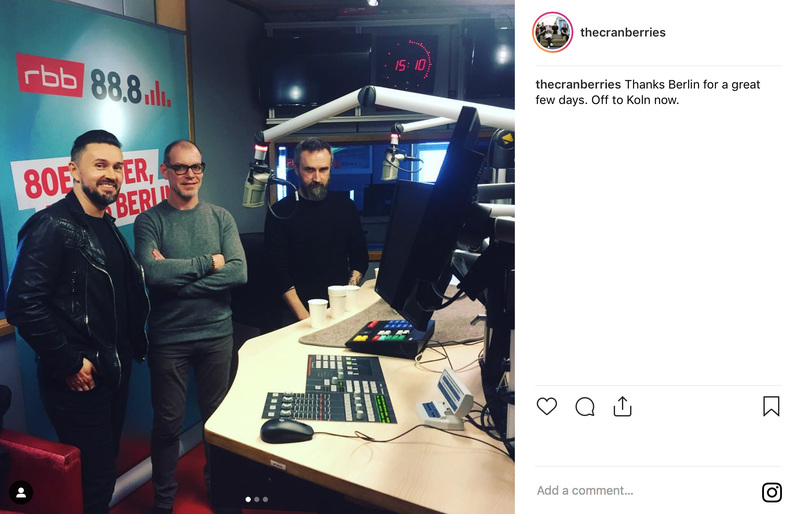 Recorded a few days ago in Germany during their “In The End” promo tour. 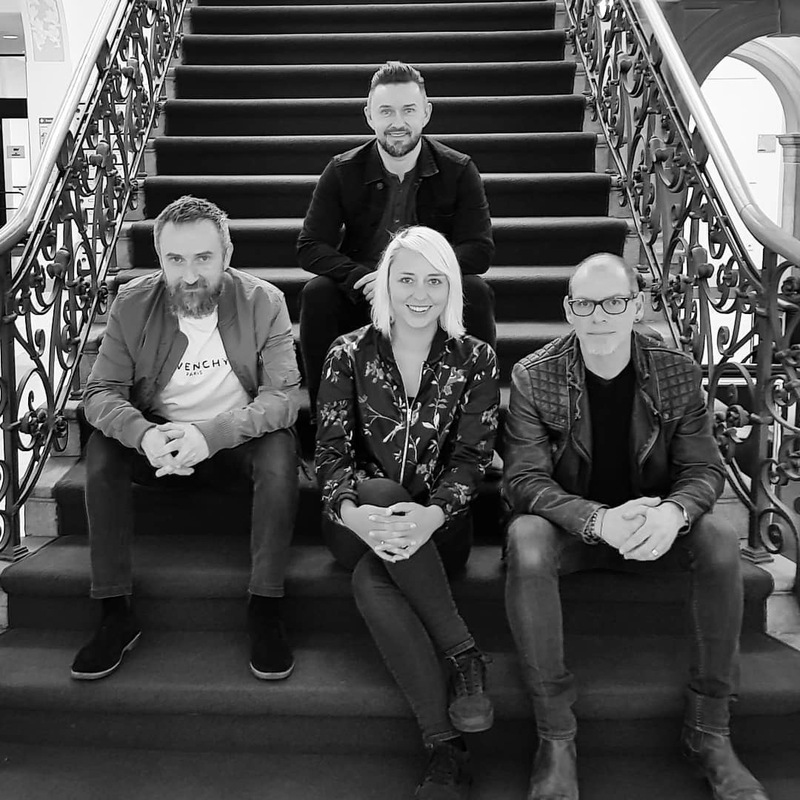 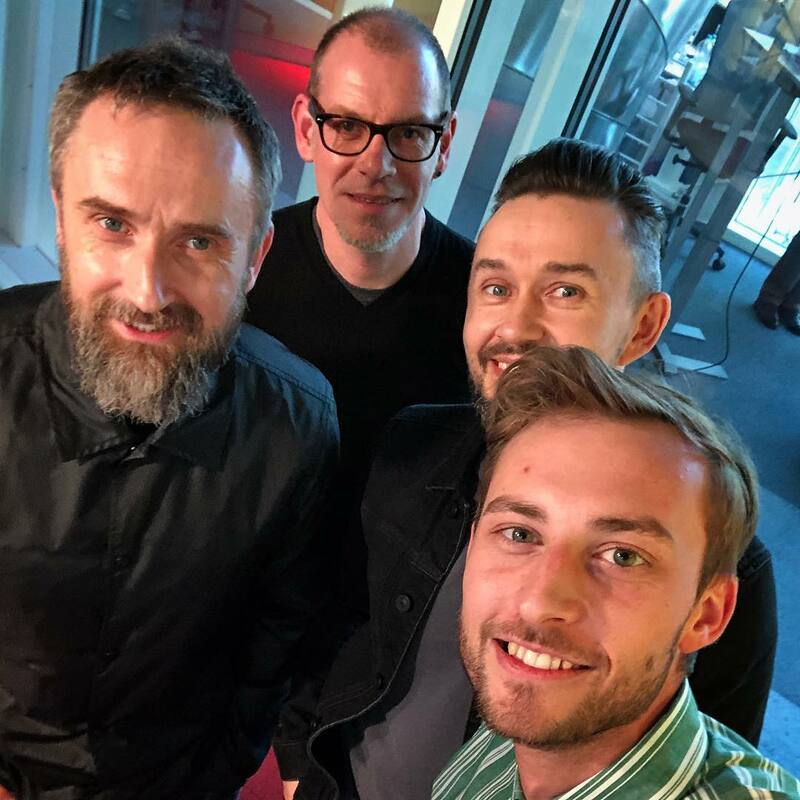 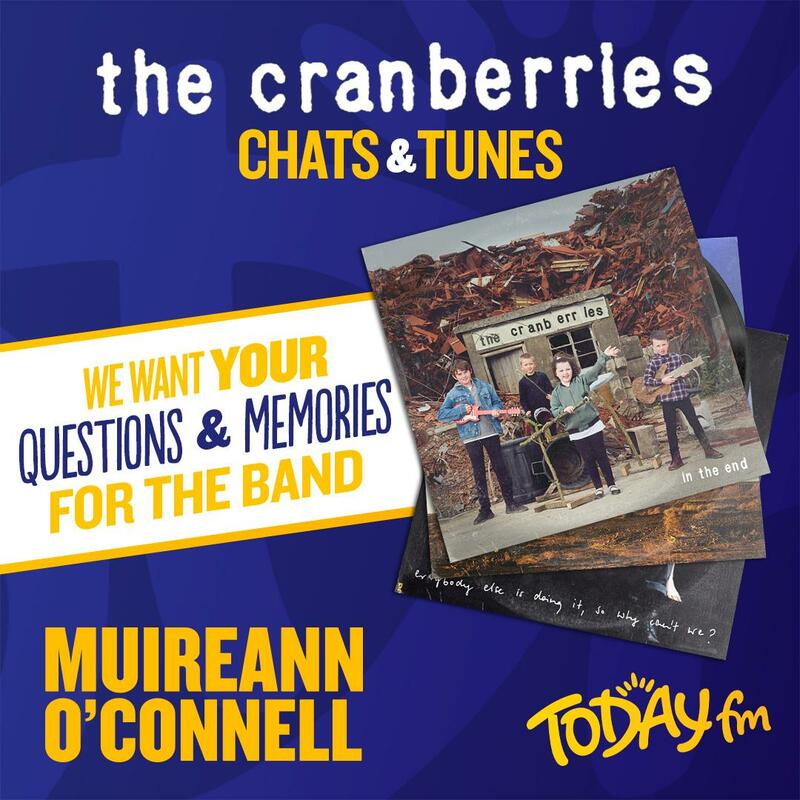 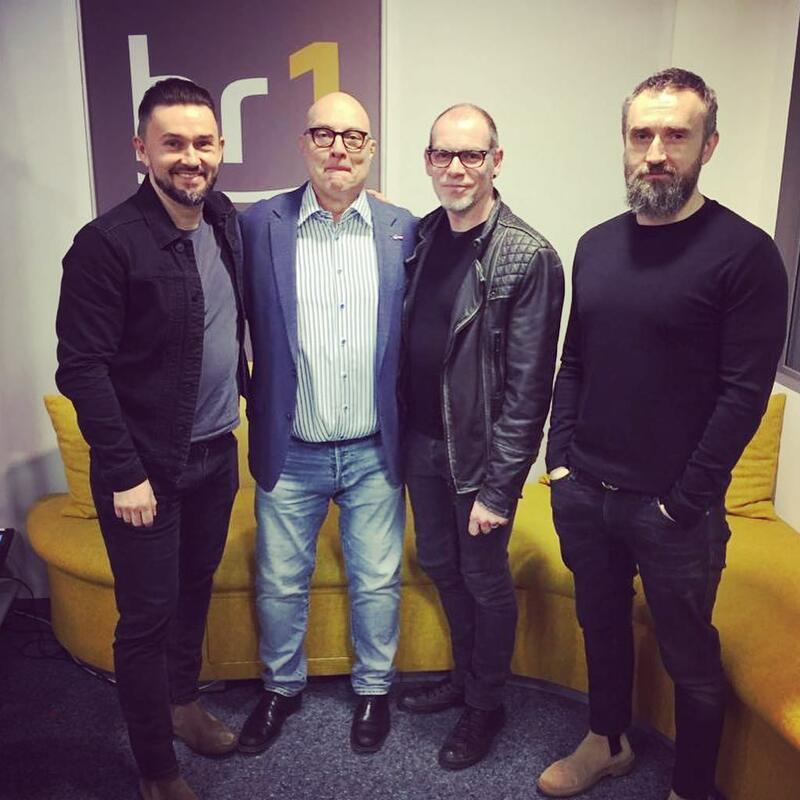 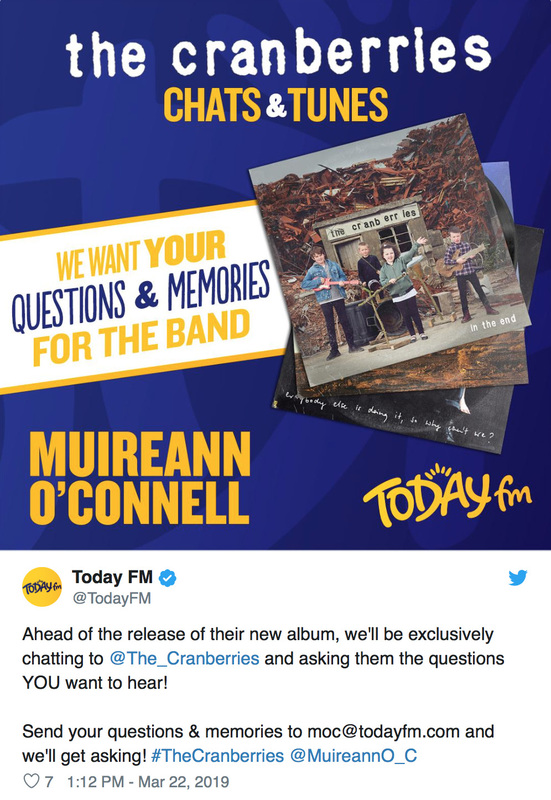 The Irish radio TodayFM will be exclusively chatting to The Cranberries and asking them the questions YOU want to hear. 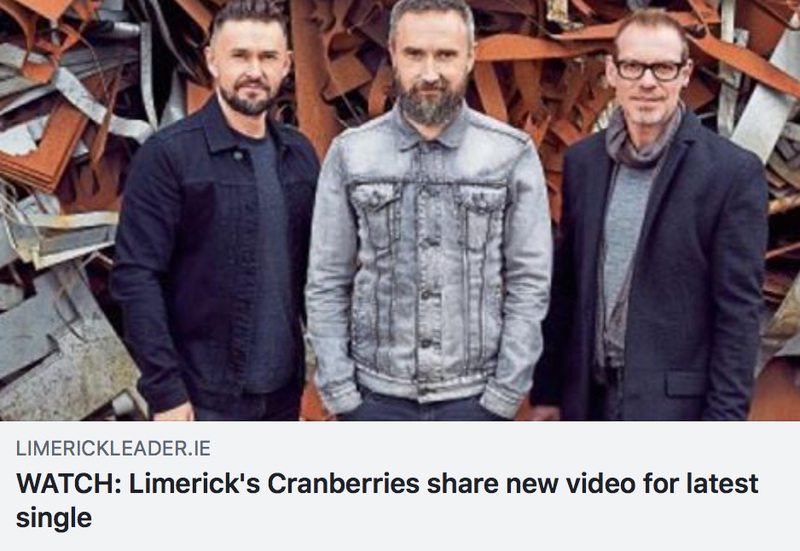 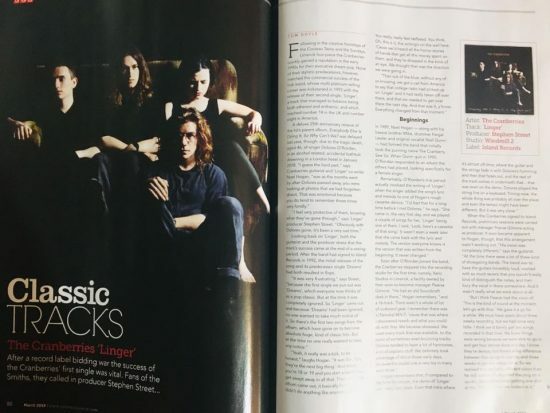 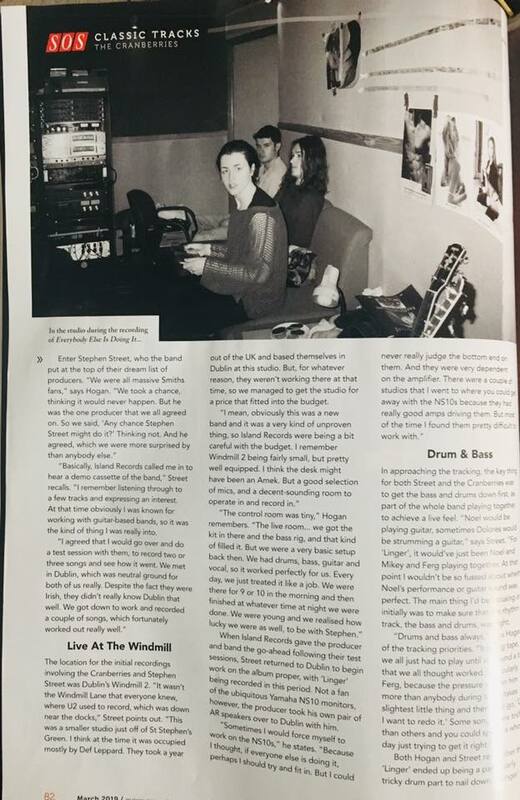 Thanks to ‘The Cranberries Newspaper’ on Facebook for the link. 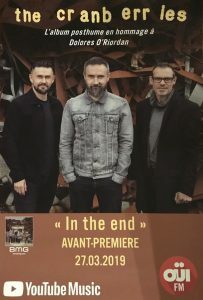 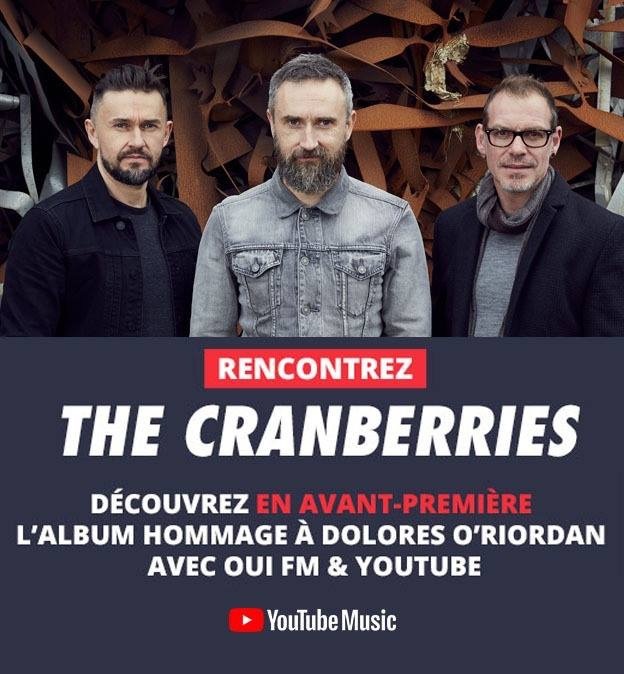 Get a chance to listen to “In The End” a month before its release and meet The Cranberries on March 27th by taking part in the ouifm.fr / YouTubeMusic contest. 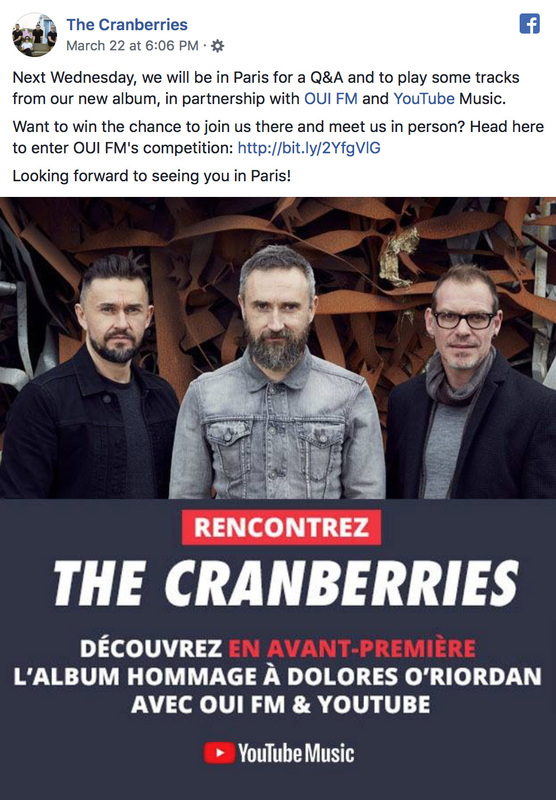 Simply enter the word CRANBERRIES by sms. 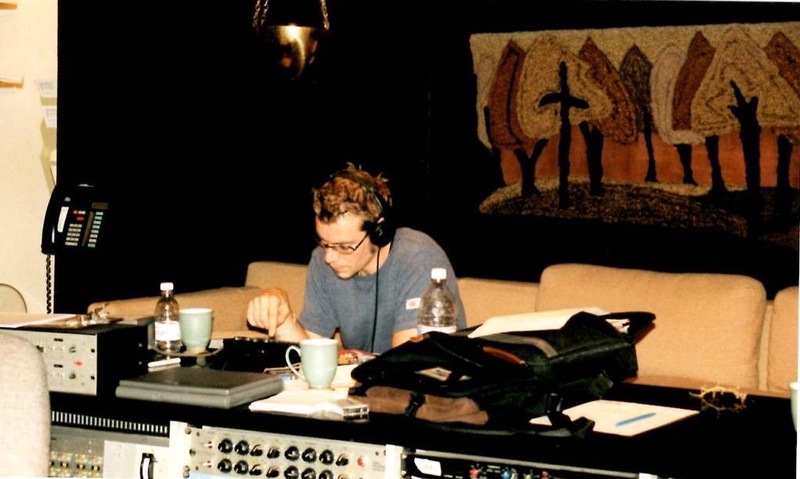 When was CREATED the album Bury The Hatchet? 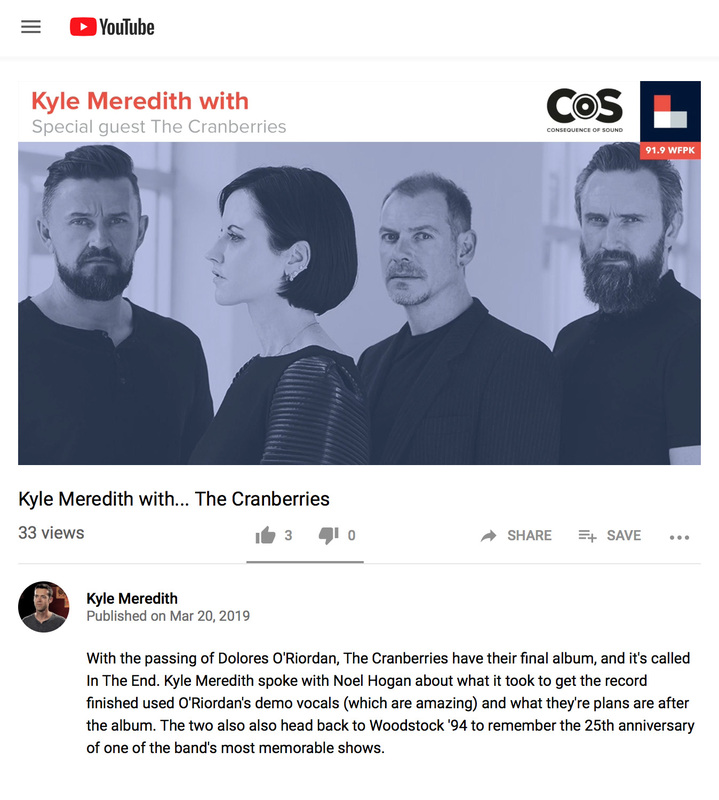 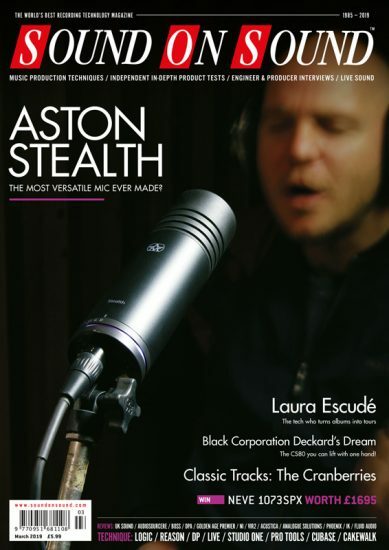 Listen to the interview series “Kyle Meredith with…” in which WFPK’s radio host speaks to a wide breadth of musicians. 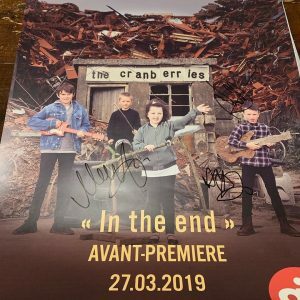 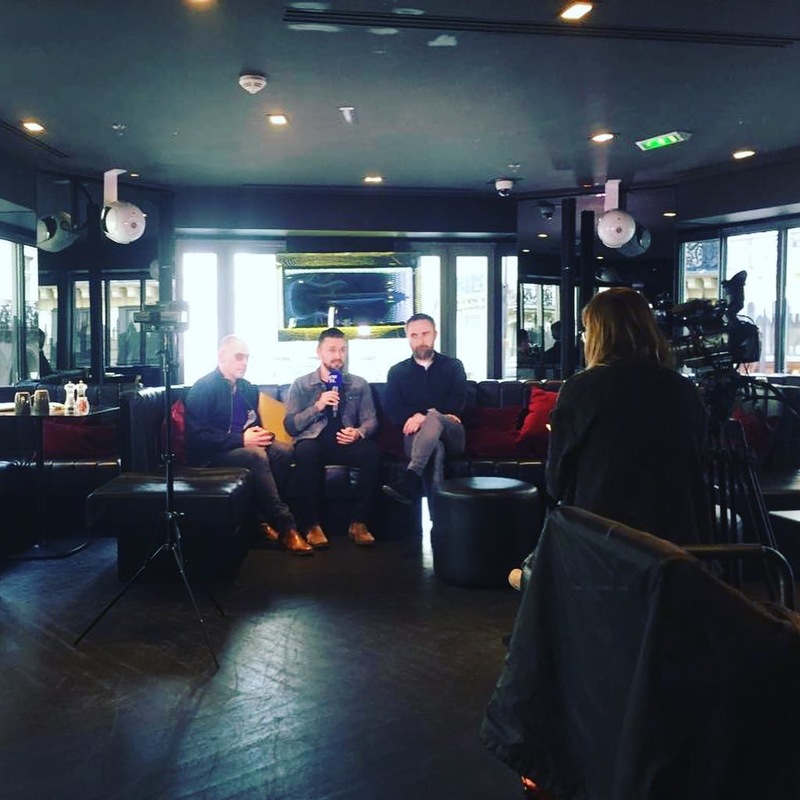 Last week, the Limerick Leader announced that the second single “Wake Me When It’s Over” would be released on March 18th, which turned out not to be exact as the song was not available as expected at midnight that day. Later in the day, still Monday, a link from Japan (thanks to Ex-cranfan) revealed more information, including the official release date, March 19th, and the artwork/cover of the single in HQ. 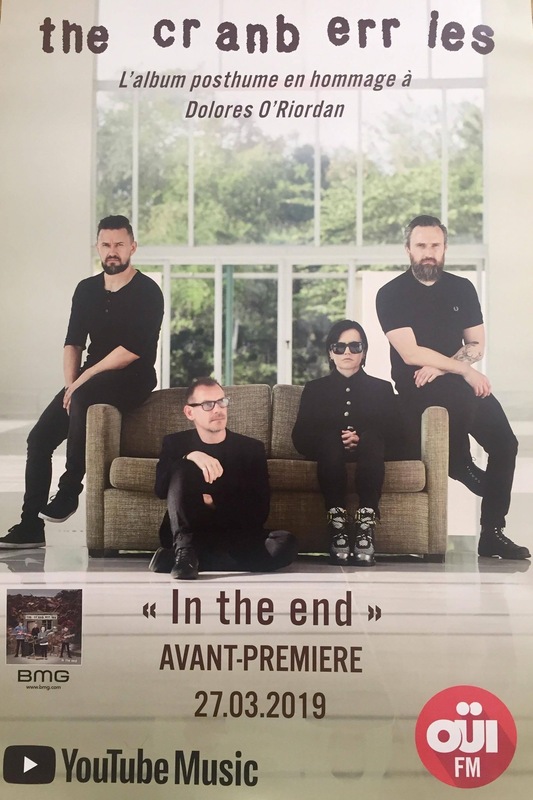 However, as midnight was coming in every part of the world, the song was still not available on digital platforms (but leaked on a Russian website). 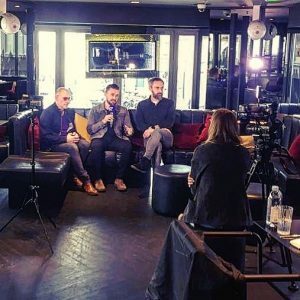 Fans had to wait another post from the band on their socials (Instagram, Twitter, Facebook) this morning Tuesday 19th, announcing an exclusive first play at midday on the Jeremy Vine show on BBC Radio 2, exactly like it happened in January for the release of the first single, “All Over Now”. 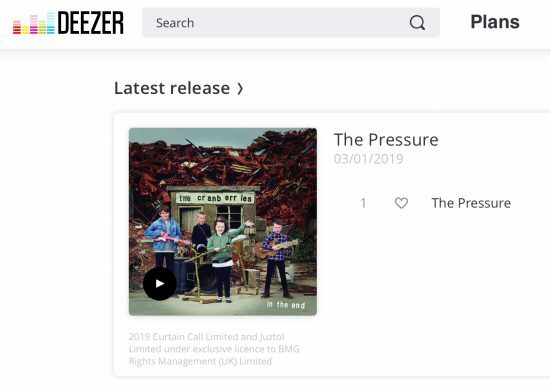 The Jeremy Vine show is now just over and “Wake Me When It’s Over” appeared on digital platforms… “In The End” didn’t, still looks ready to play though, so it might be coming soon, however there is no information about that for now! 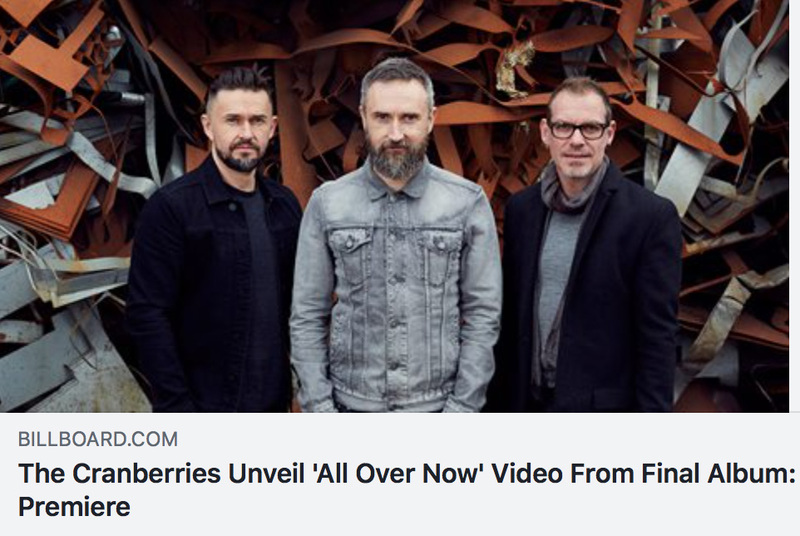 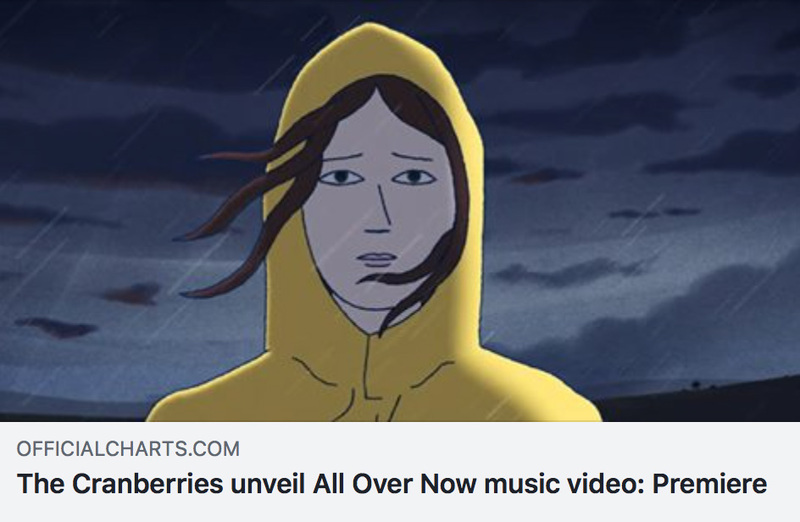 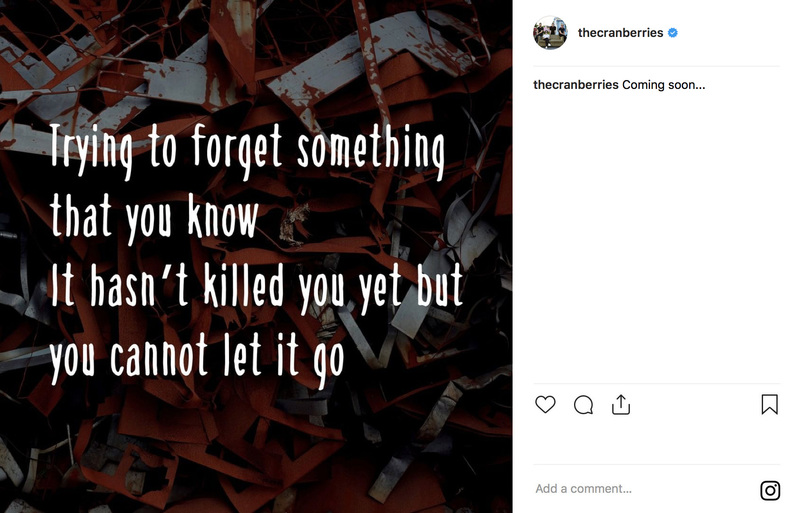 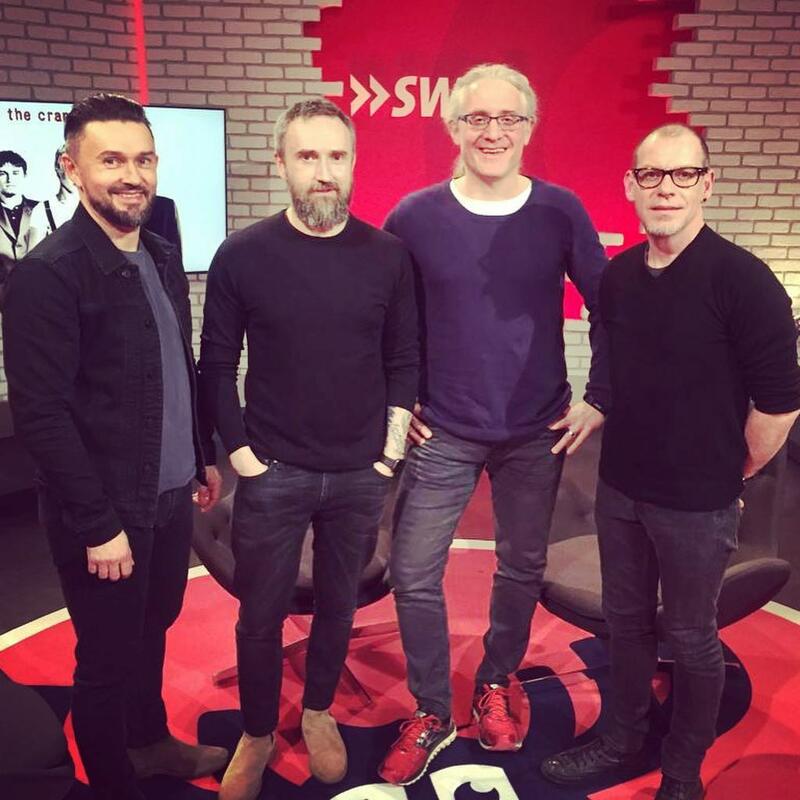 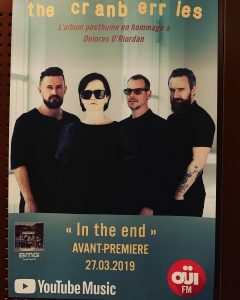 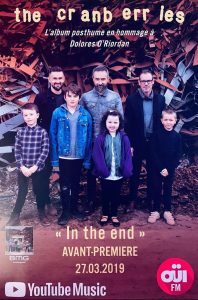 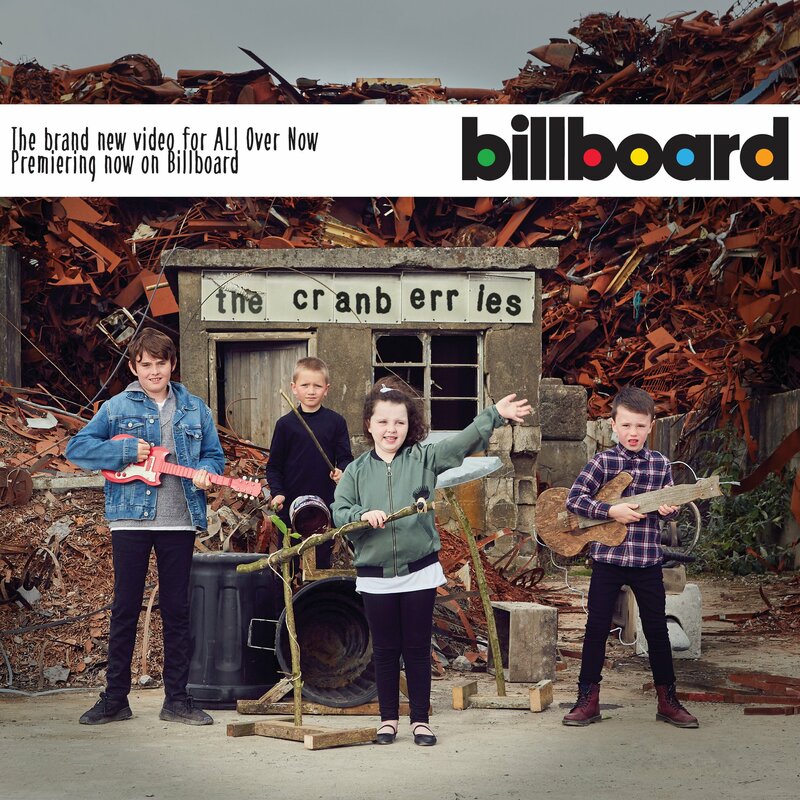 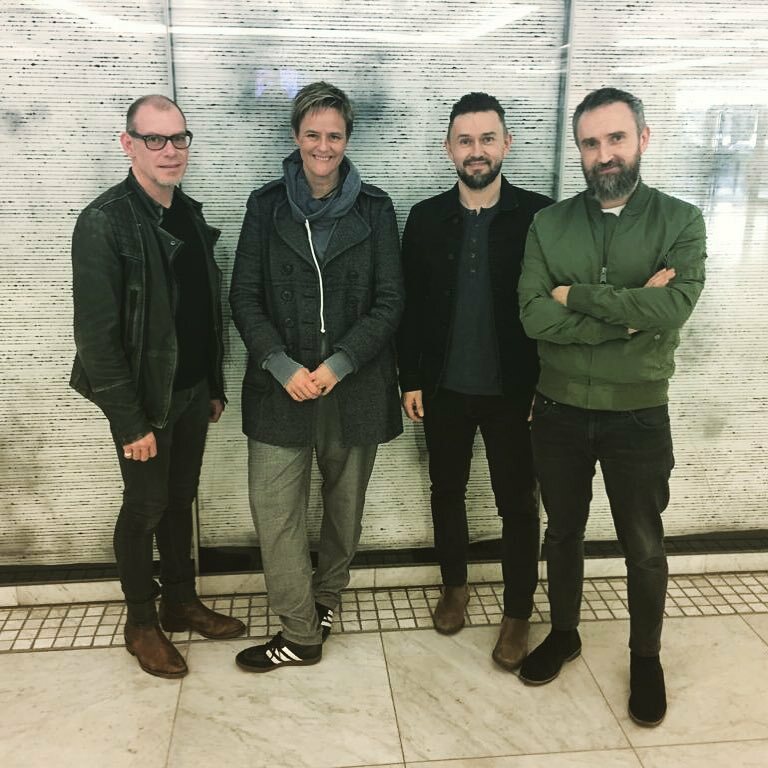 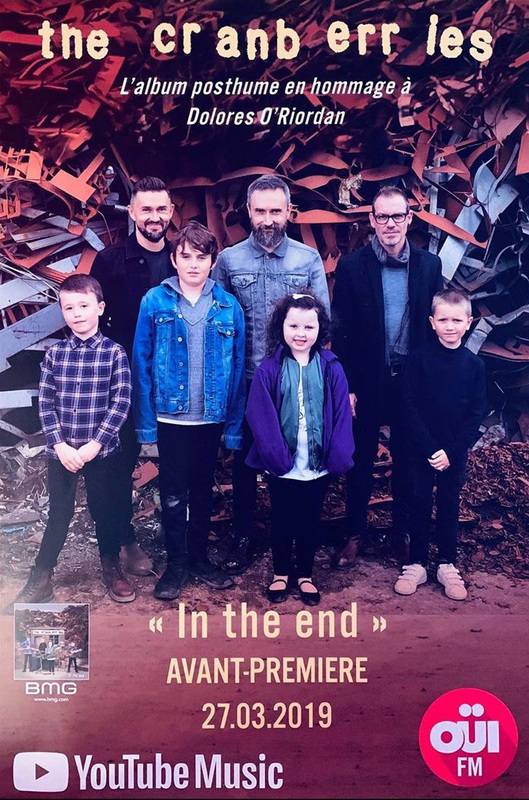 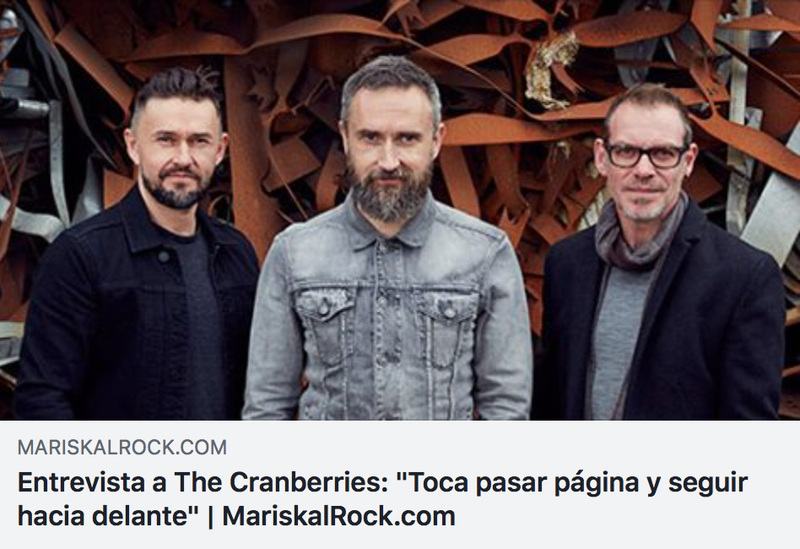 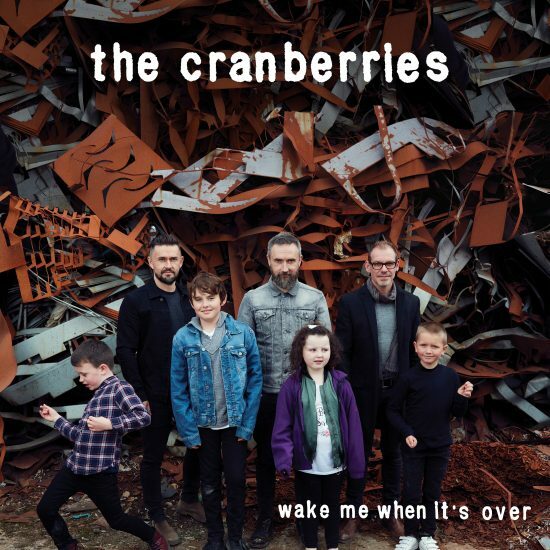 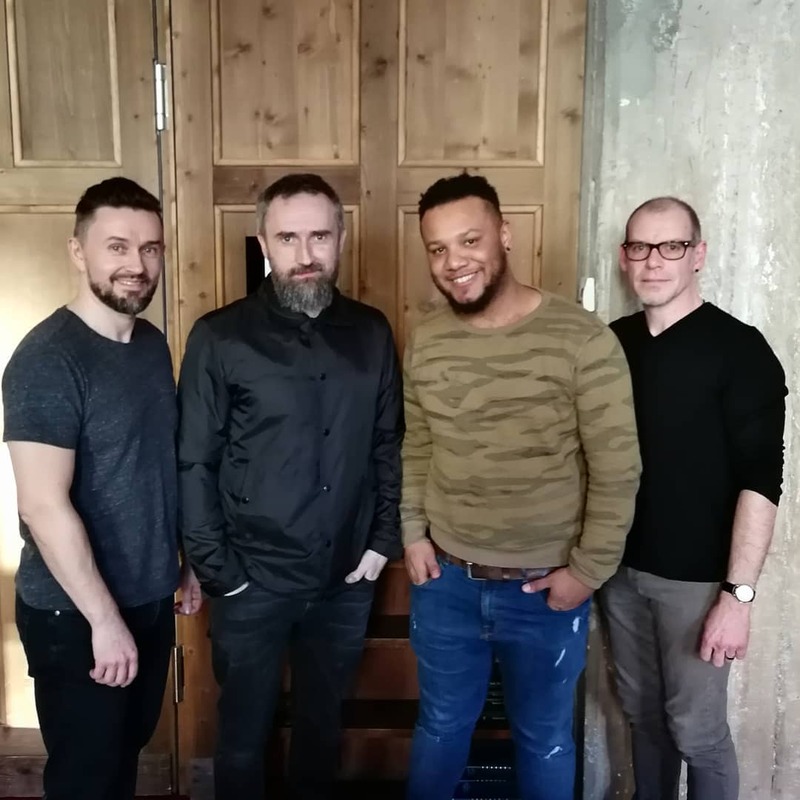 The Cranberries recently revealed in a few interviews (watch Radio Regenbogen video for instance) that the songs “Wake Me When It’s Over” and “In The End” will be released very soon, and “Wake Me When It’s Over” will be the 2nd single. “Wake Me When It’s Over” will be released next Monday (18 March), as revealed last week by the Limerick Leader, probably starting at midnight on streaming platforms and to download. 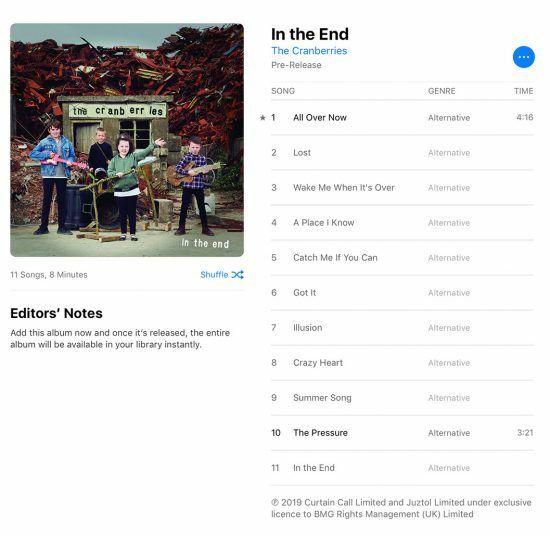 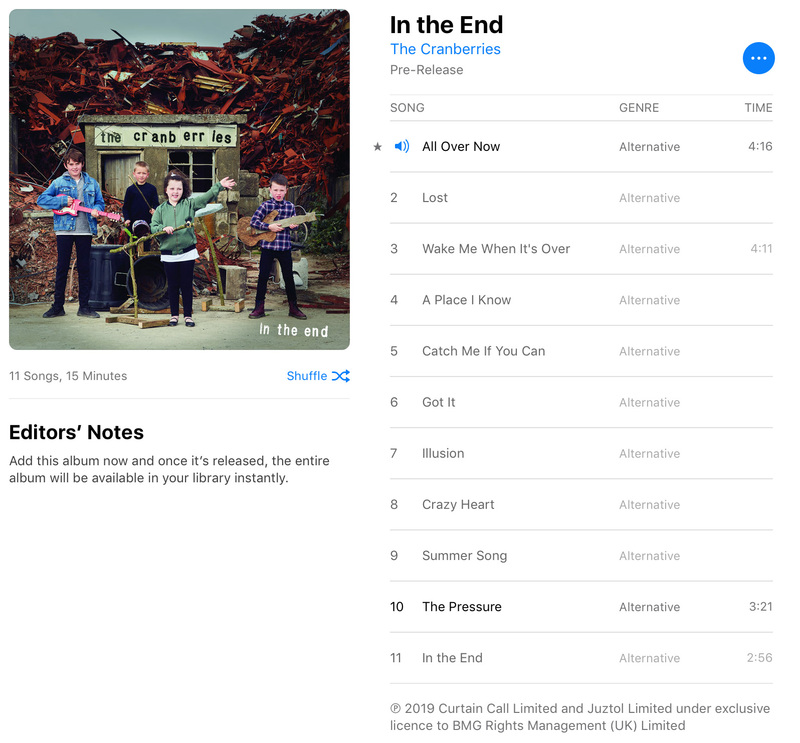 However, it seems that the song “In The End” will/could also be released on the same date, as both songs have just appeared today on iTunes/Apple Music and are almost ready to play… and even if not yet working, we can see both durations. 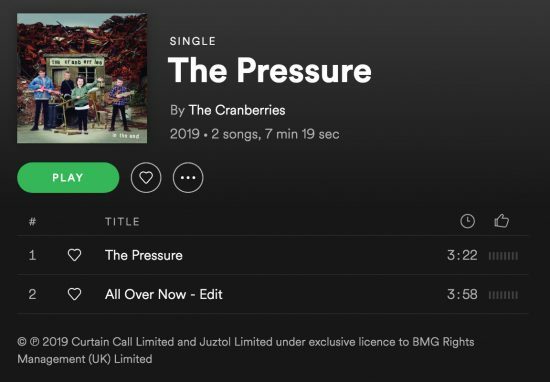 Let’s note that just like “The Pressure”, the song “In The End” should be another pre-release track the band wants to share and not a 3rd or 4th single. 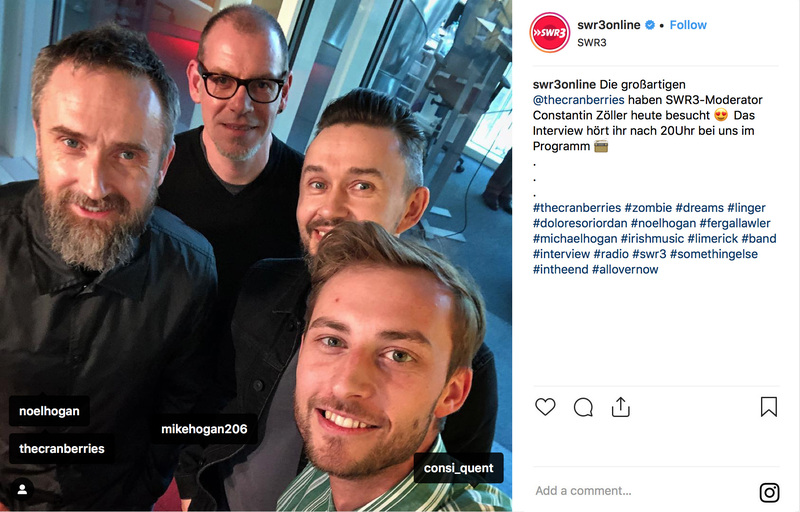 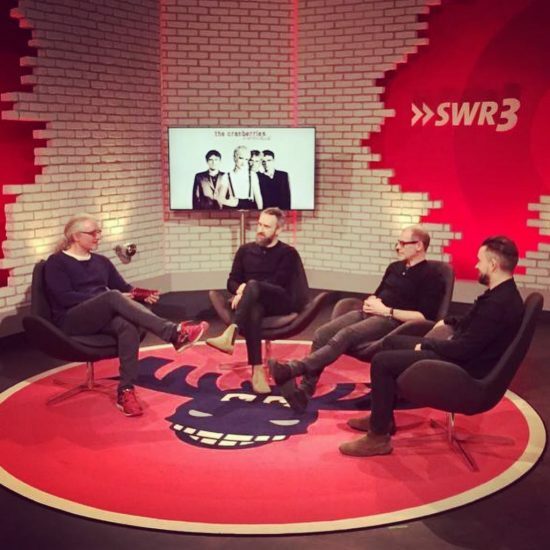 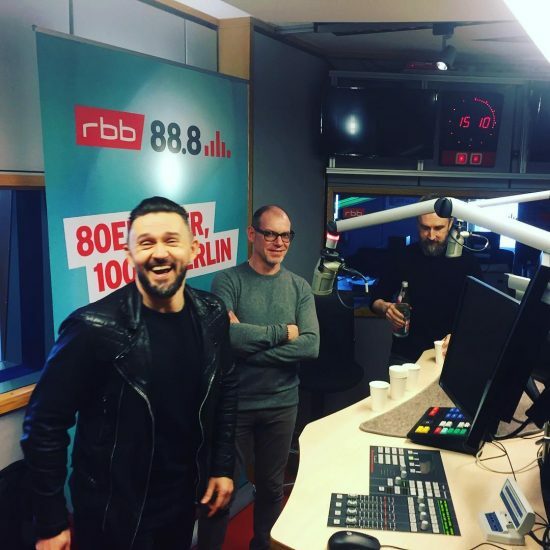 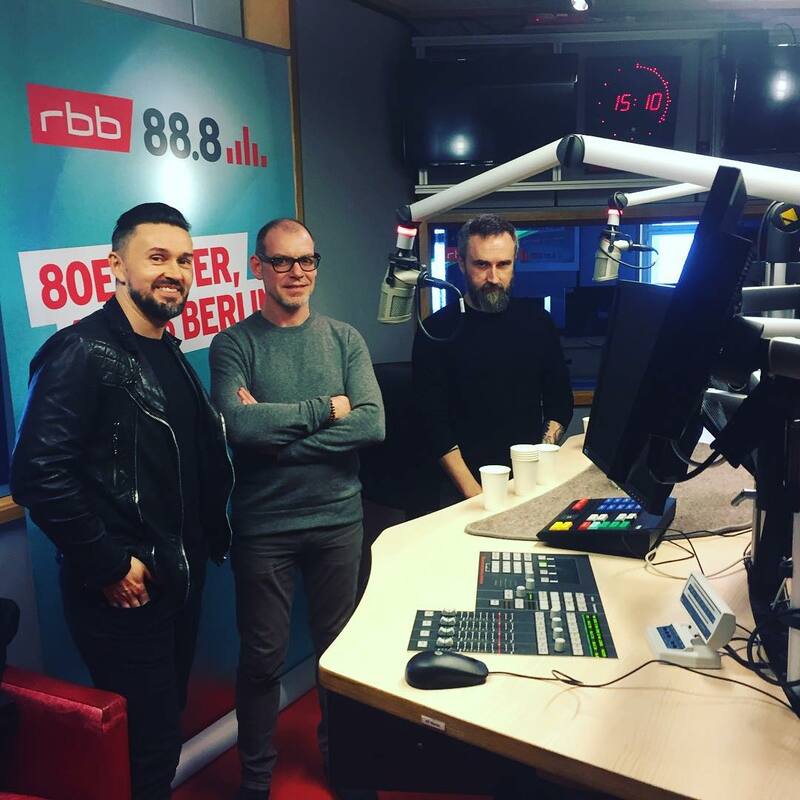 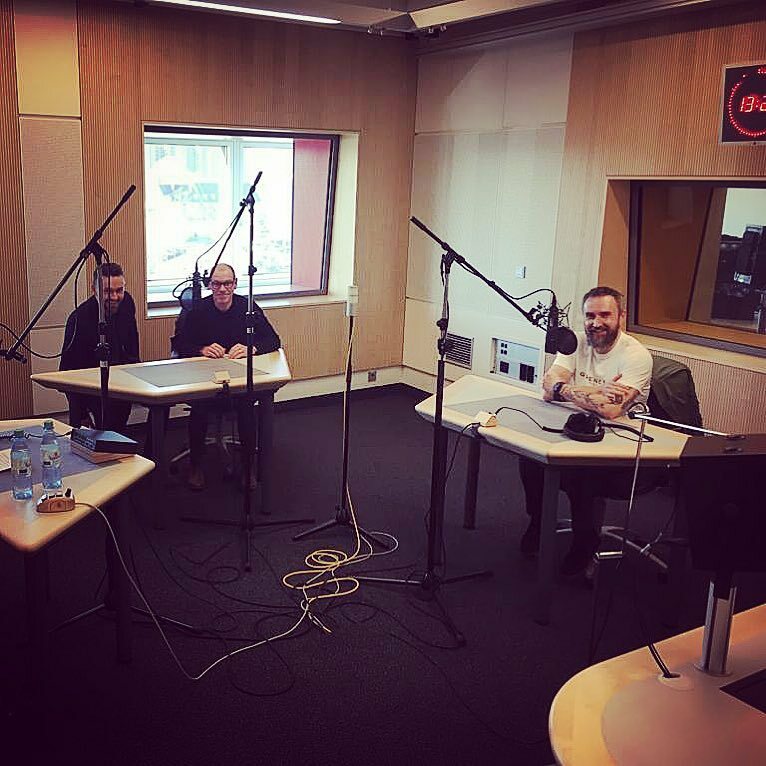 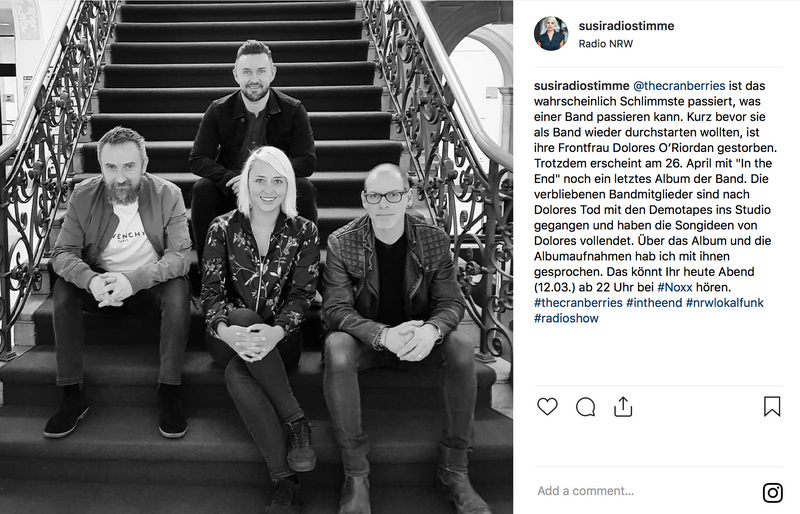 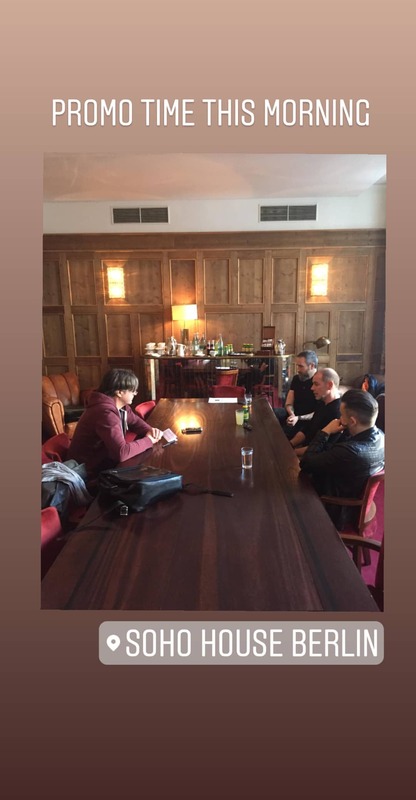 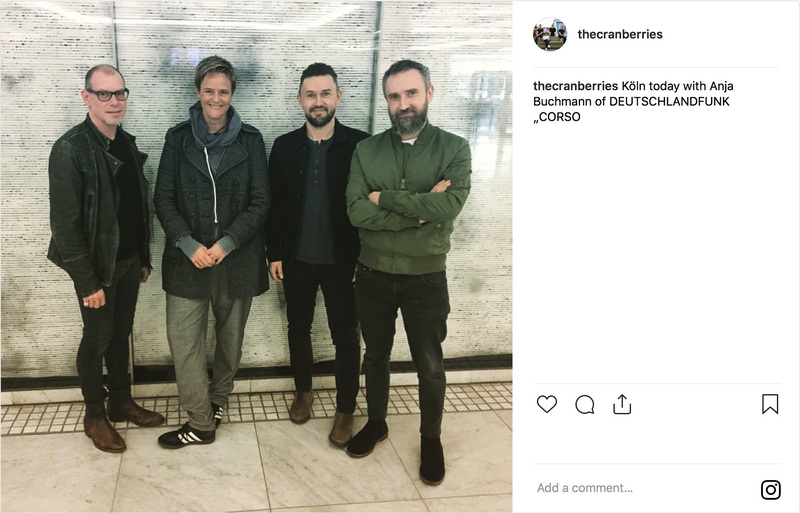 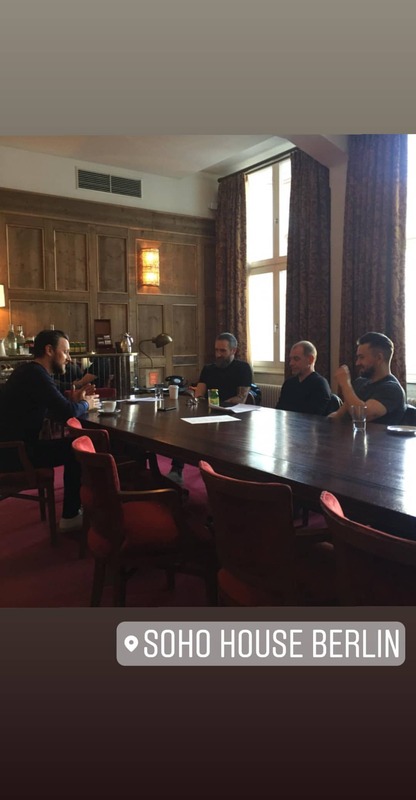 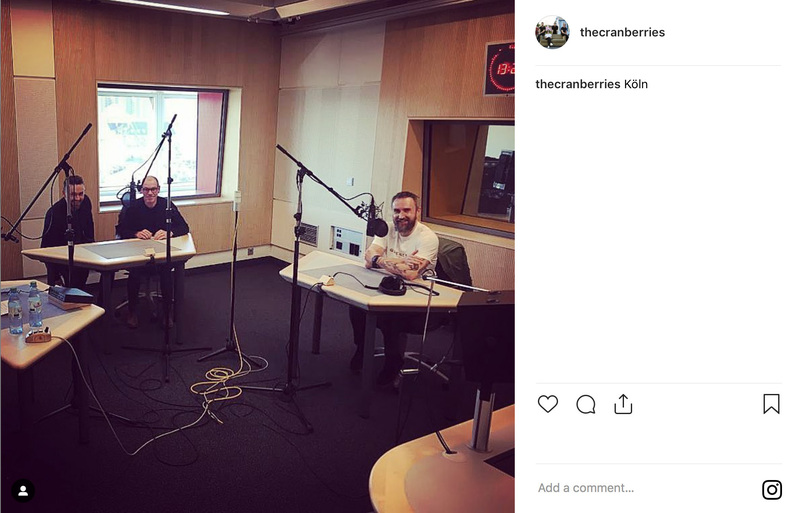 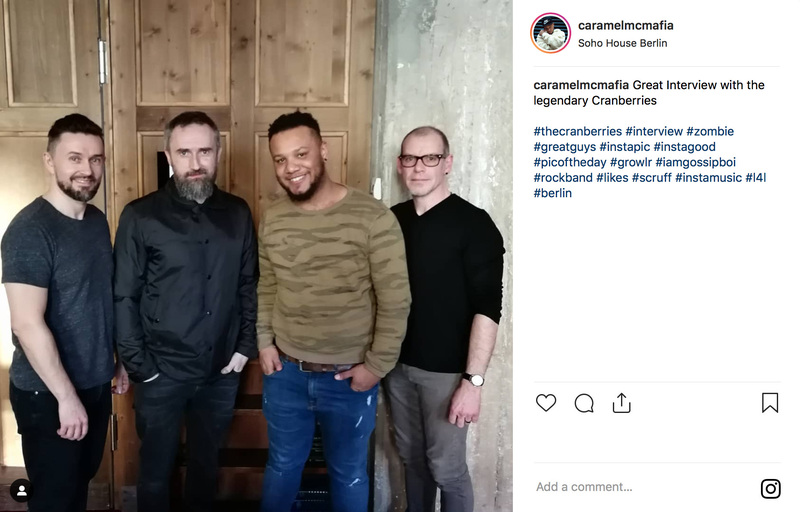 Radio host Susi Makarewicz just posted on Instagram and Facebook a photo with The Cranberries to announce the broadcast of her interview with the boys recorded during their recent “In The End” promo tour in Germany. 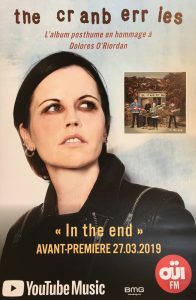 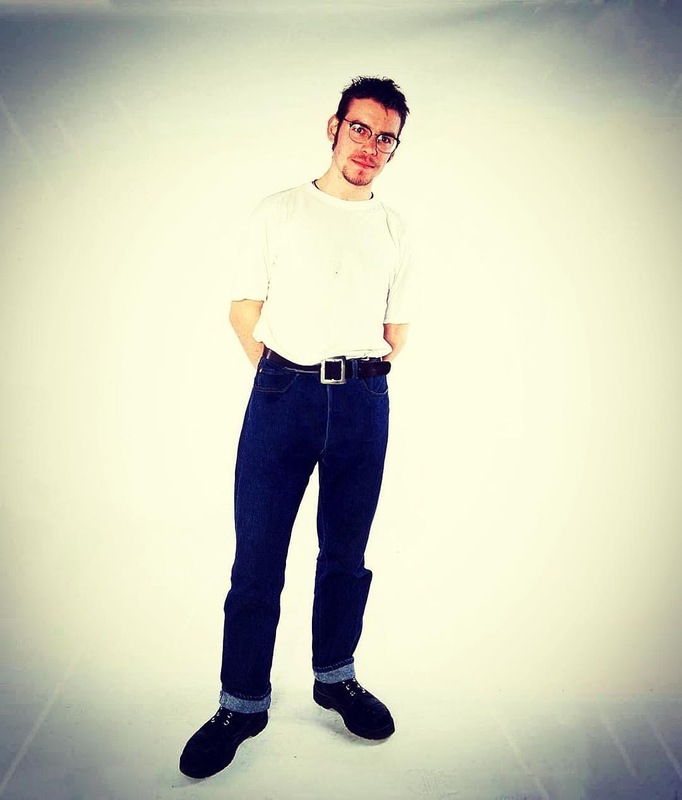 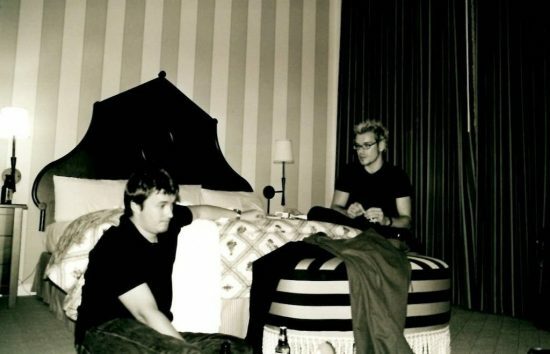 The information was revealed by the Limerick Leader, “Wake Me When It’s Over” should be the next single off the album “In The End”. 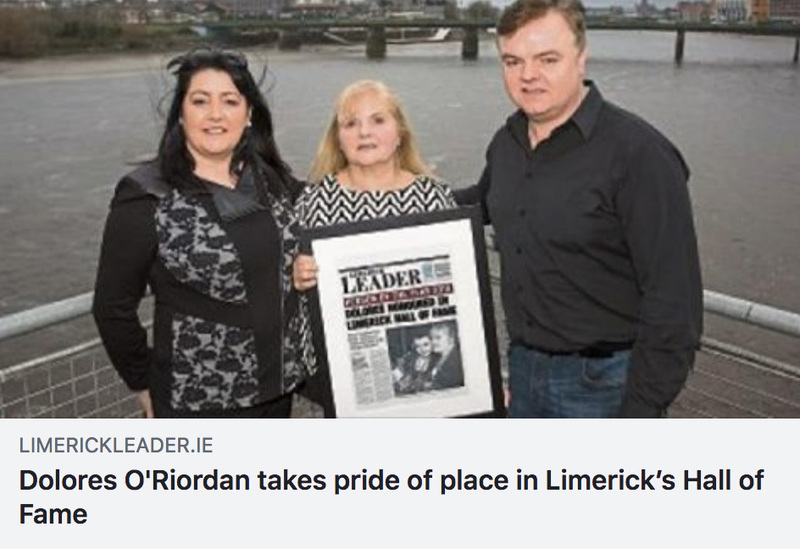 Read their article directly on limerickleader.ie or click image below to open pdf file. 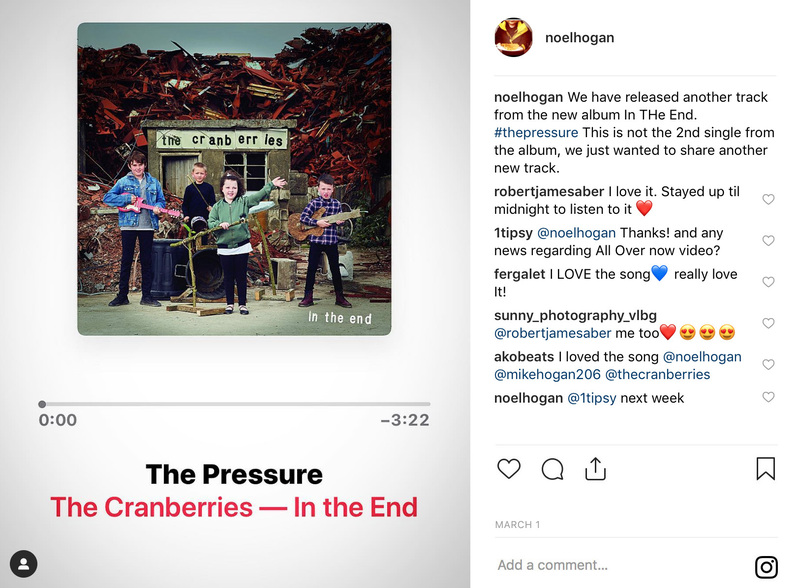 Let’s note that “Wake Me When It’s Over” should be the 2nd single as the song “The Pressure” released on March 1st was not the second single but just a pre-release track the band wanted to share (see the news update that includes Noel’s words about it). Read the article directly on officialcharts.com or click image below to open pdf file. 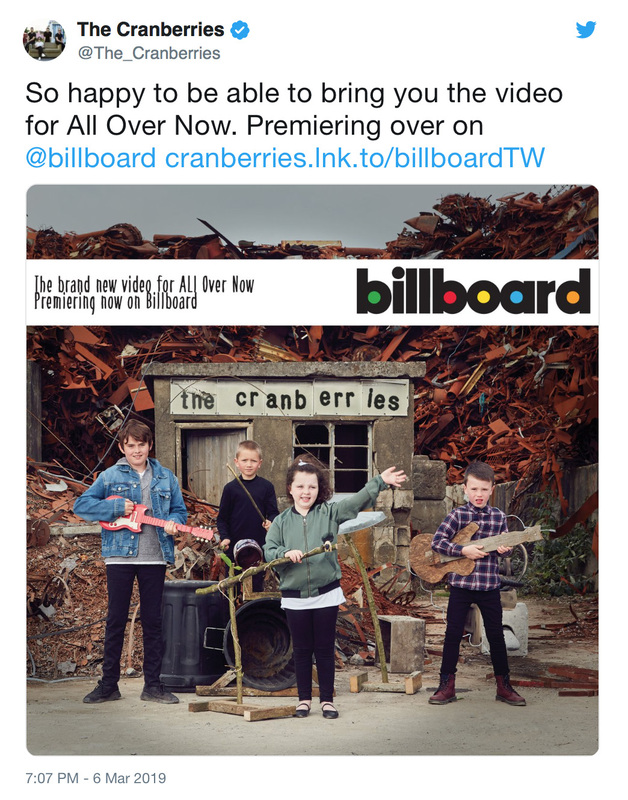 Click image below to open pdf file (article only… video won’t work; to watch the video click the billboard.com link above). 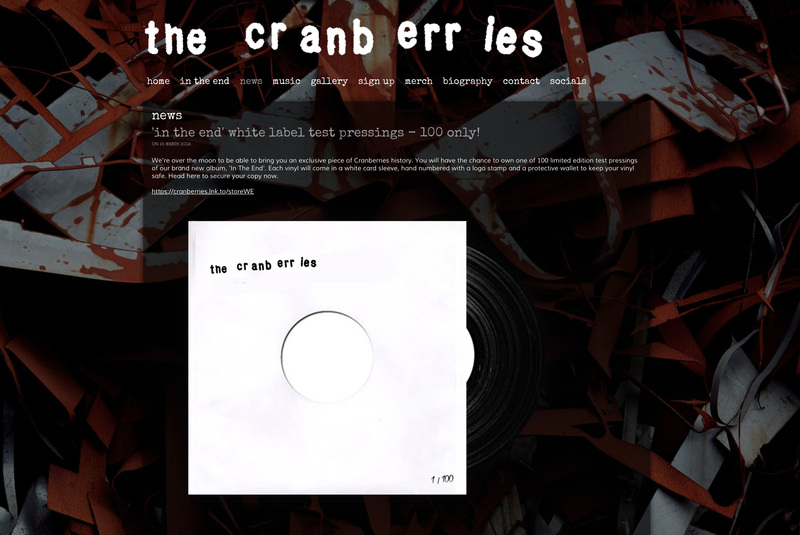 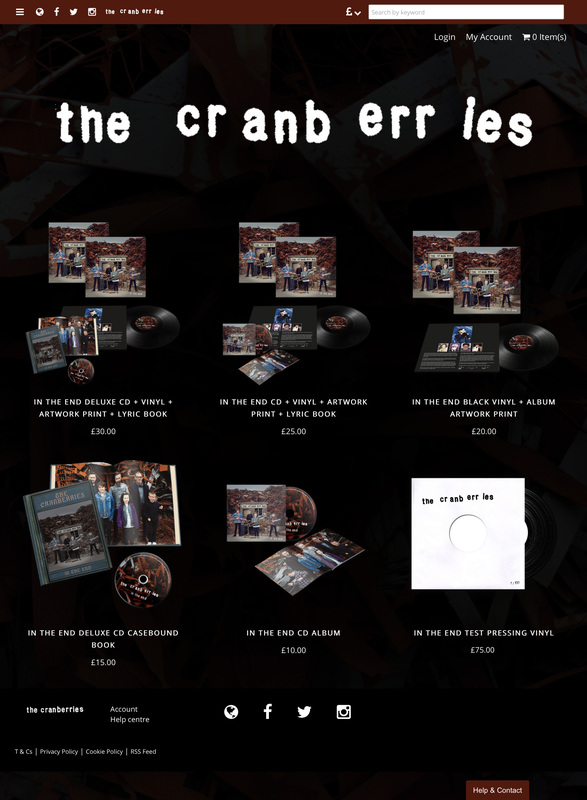 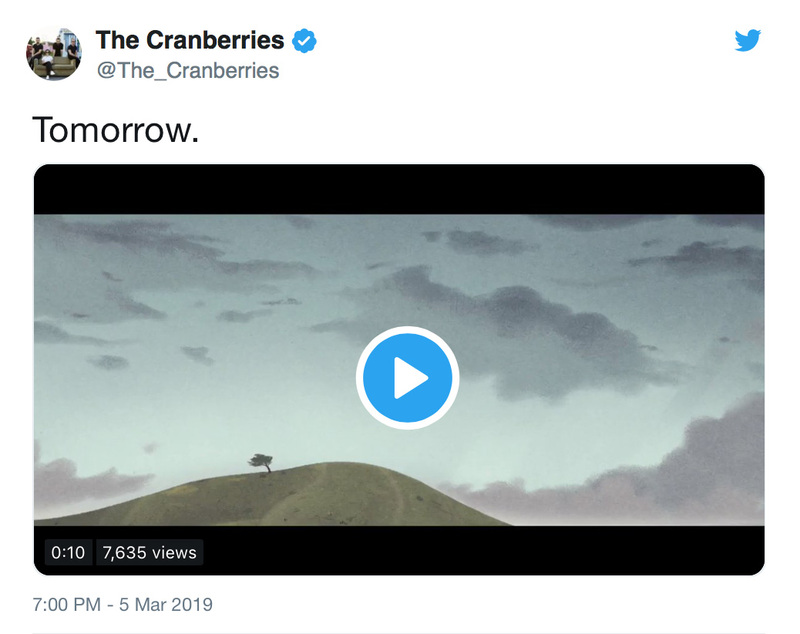 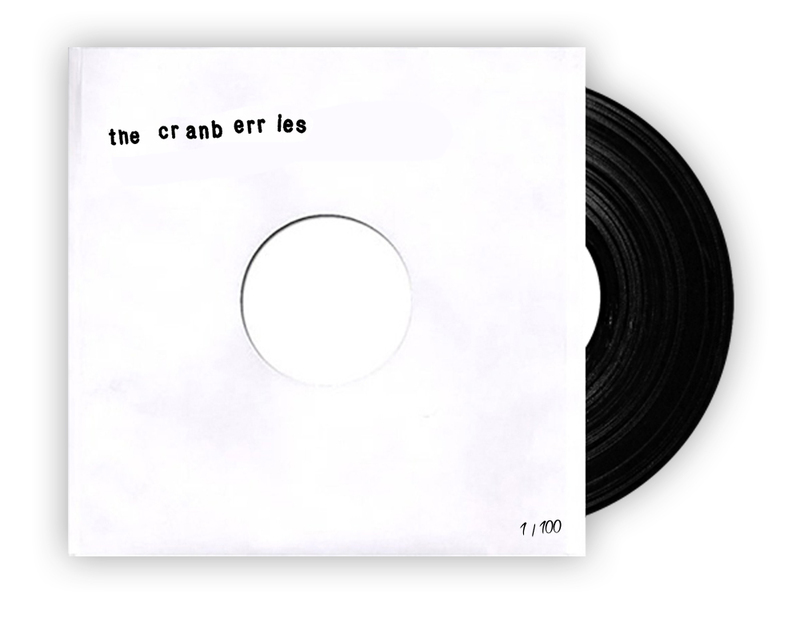 Have a look at the teaser posted by The Cranberries today on Twitter and Facebook. 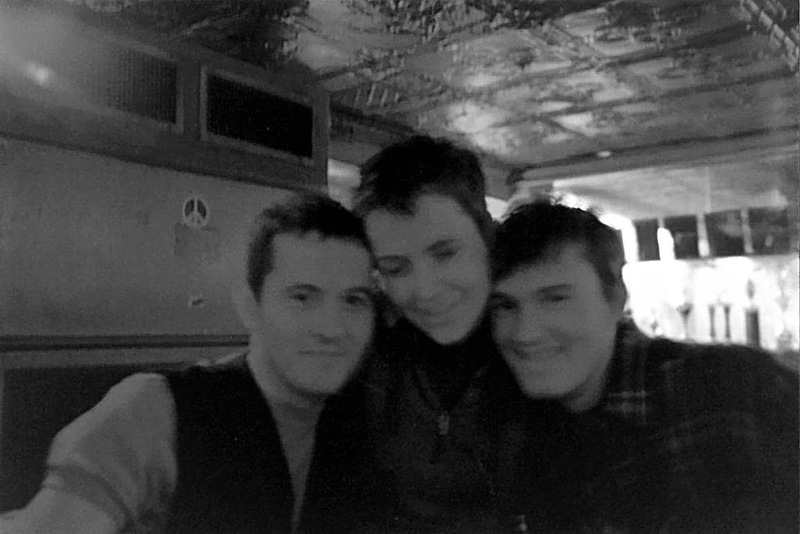 Sending love and our best wishes to you, Ferg. 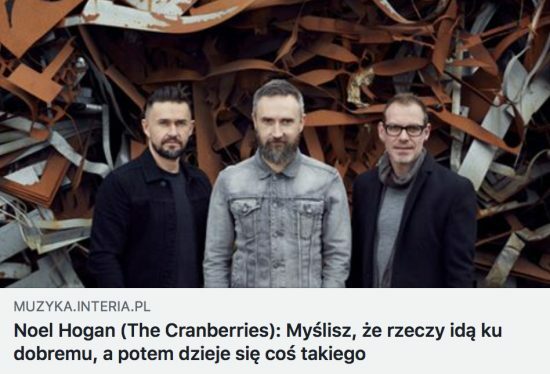 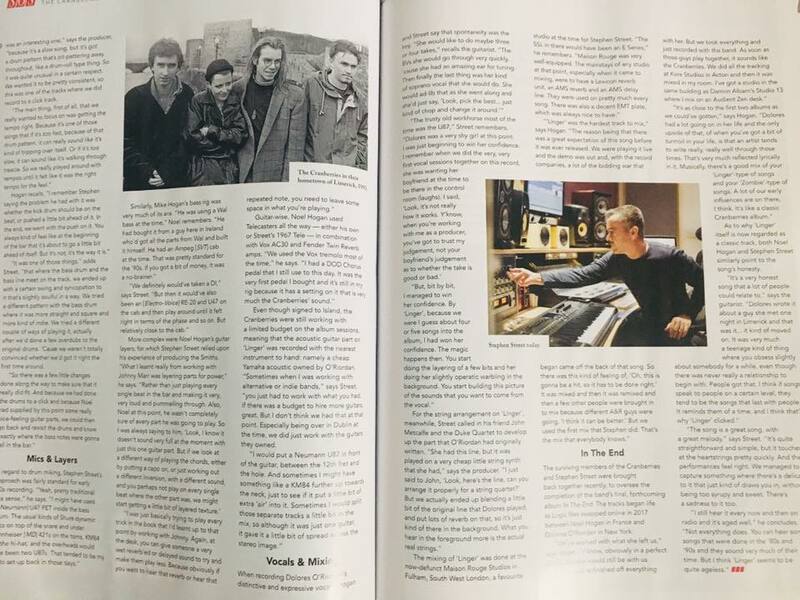 Read Noel Hogan’s new interview (in Polish) on muzyka.interia.pl or click image below to open pdf file.